EasyBoatRoller shore docking system is made of durable hot-dip galvanized steel. 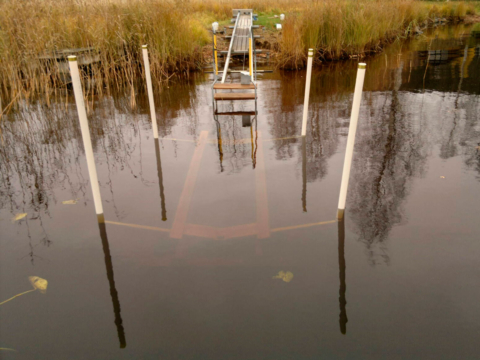 The boat dock is available in models with up to 2,500 kg / 5510 lbs carrying capacity. For boats heavier than this, EasyBoatRoller is manufactured on special order. So far, the heaviest boat has weighed approximately 4,000 kg / 8820 lbs. 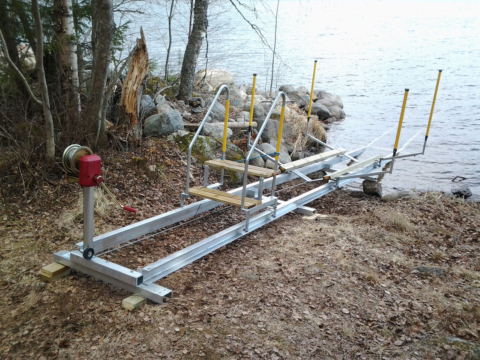 Traditional boat docks rust and break easily, but EasyBoatRoller is designed to last. The simple structure of the dock makes it very durable and maintenance-free. 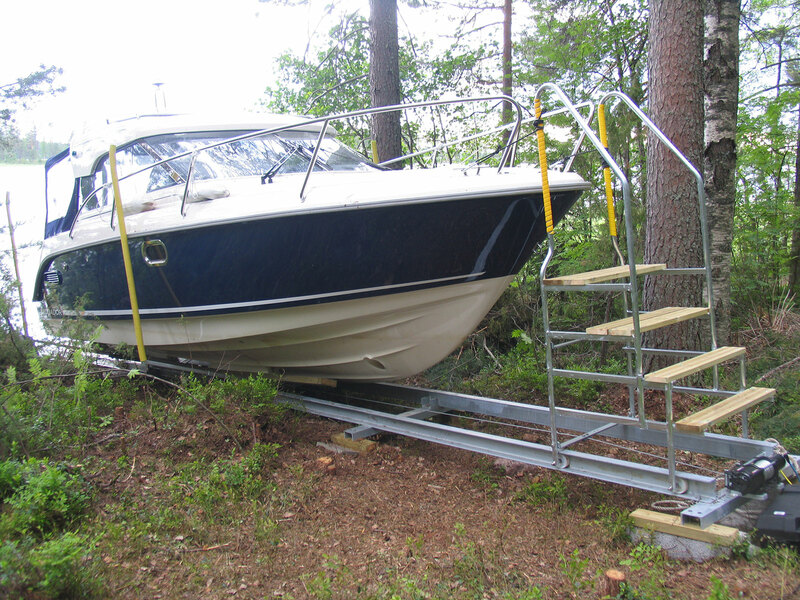 The frame of the boat dock is made of hot-rolled steel which is hot-dip galvanized. The thickness of the galvanized coating is approximately 150 µm, which is why it is very suitable for coastal use. There are no bearings or other parts susceptible to corrosion in the dock. The hubs and fasteners of the wheels are made of austenitic stainless steel. The device can also be easily expanded to a larger carrying capacity class afterwards, up to 2,500 kg using the same rail structure. Warranty: 5 years for frame and metal components, 1-3 years for winch, 1 year for wooden components. Warranty terms may vary in different countries. A patent has been granted for the product. 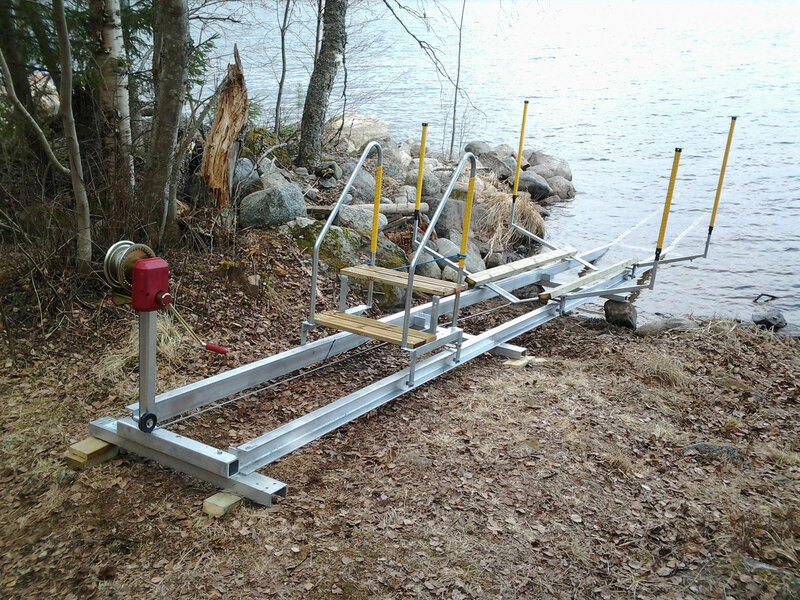 EasyBoatRoller docks are made in Finland.